Ah, Royal Ascot. A chance for humble folk like you and us to don our best and mix it with the bourgeoisie and feel like kings for the day; ironically whilst watching the sport that lays claim to the moniker: “Sport of Kings”. Let’s face it ladies, Royal Ascot limo hire is mostly about you showing yourselves off in manner of sheer class and excellence than it is about the guys. They have to wear those stuffy top hats and morning suits. However, you as a lady have a firm prerogative to make yourself look as gorgeous and elegant and ever as you can go wild on your hat design. You see, Royal Ascot limo hire isn’t just about the horse racing you know. It is about getting together and showing the world in our fine and unmistakable British manner. 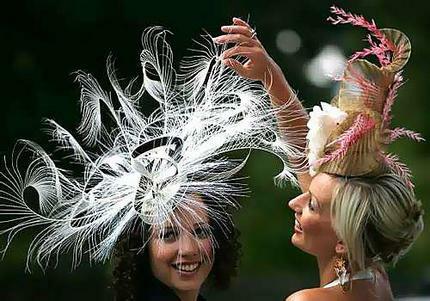 Furthermore, Ladies Day at Royal Ascot is the best opportunity for you to do this. However, the cheap limo hire company have a suggestion that will provide you and your group of friends with the optimum levels of fun and still carry off that sheen of class that we all cherish so much. “How can I achieve this?” We hear you collectively cry. Well, all you have to do isn’t stick the kettle on, make a cup of tea, pick up the phone and give our dedicated team here a call. From there you can the book out your pink limousine hire experience for the day. Just think about it; you and your cherished friends having the time of your life riding through the streets, towns and motorways like the celebrity VIPs you are. Royal Ascot limo hire demands high class levels and what can get classier and accentuate that more than a pink limousine hire. Riding in one of our limousine hire cars to the races means that, along the way, you won’t find yourself getting bored or restless as there is always something in the interior the pink limo to keep you entertained. For instance, what better way to break up the ennui of a long journey than by bringing on board one of your favourite chick-flick DVDs. We will happily put the movie on our DVD player and you can gather together and watch it on the optimum plasma screen that we have installed. Not up for watching the TV? Then pour yourselves a glass or four of complimentary champagne that we have provided and sit back and be wowed by music coming forth from our excellent speaker system which is combined and compounded with a rather dazzling laser light display. You see, when you travel with our pink limousine hire, you just get the best quality of service every time. We don’t like to boast, but we are experts at travel to limo hire Royal Ascot and we would surely get you and your friends safely there and back within the luxury and bliss of one of our pink limousines. So ladies, what do you say? Fancy a VIP trip that you will remember for ages? Then please book cheap limo hire.